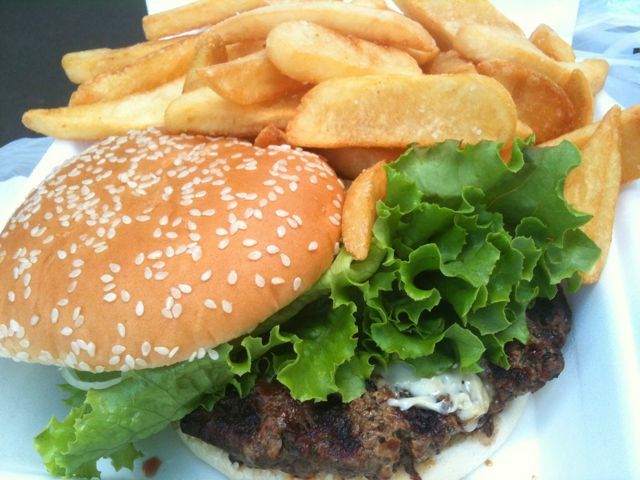 This entry was posted by James on Thursday, March 25th, 2010 at 1:28 pm	and is filed under Burgers, Hilo, Plate Lunch, Restaurant Reviews. You can follow any responses to this entry through the RSS 2.0 feed. You can leave a response, or trackback from your own site. JAMES. 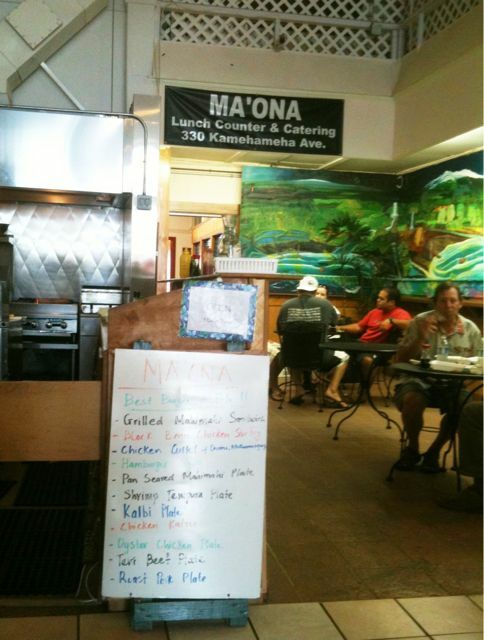 Bob and Glenn and I had lunch here at Ma’ona on Saturday (big thanks to our old friend Keith DelaCruz from the Farmers Market who suggested the place and who picked up the tab!). Keith said the burger was the best in Hilo but the boys both had mahi mahi sandwiches and I had the daily special of chicken katsu. Great grinds all around. We got plenty of rice and mac salad too. A great hole-in-the-wall spot. Yesterday was bright and sunny here in Pittsburgh but today again it’s raining like Hilo. Our best to Beverly too. Yes I always eat there. They serve great lunches. too bad you missed it. Love the pictures you took. That is awesome! 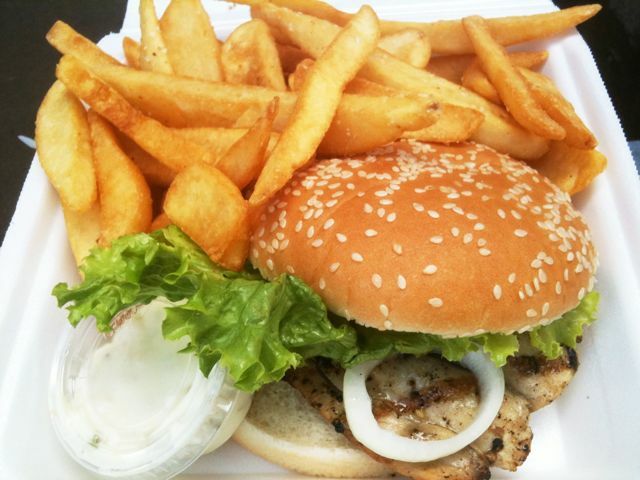 Be sure to post at http://tinyurl.com/26okadh about the excellent burgers! 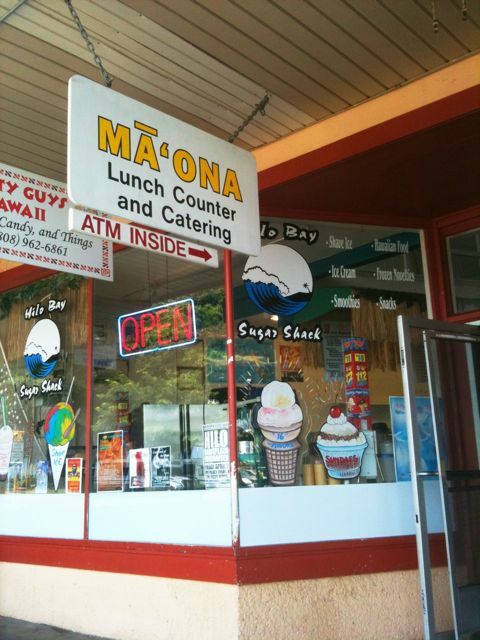 While in Hilo we stopped in here for some lunch. I had the pulled pork and my wife had the burger and fries. Both were fantastic, generous portions as well. I’ve had a couple of pulled pork sandwiches since we came back and there is no comparison to the one I had there. 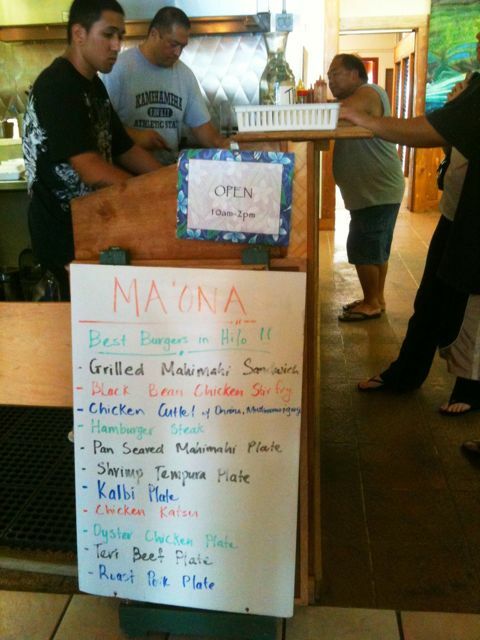 If we were to somehow get back to the Big Island I would definately go back for some lunch. Bonus was the shave ice stand at the front. Thanks a bunch! It is an incredible webpage!. I do trust all the concepts you’ve offered on your post. They are very convincing and will certainly work. Still, the posts are very short for beginners. May you please extend them a bit from subsequent time? Thanks for the post.